My wonderful and humble husband Chris Wenzel will be greatly missed. I thank you all for your kind words and patience. The Service times are as follows: Chris will have the tattoo removal procedure completed the evening of October 31st. The first Wake Service will be held on Thursday, November 1, 2018 at 1:00PM from St. George Anglican Church (624 Ave I S, Saskatoon). Chris will be brought home to stay with his family for the night following the Wake Service. On Friday, November 2, 2018 at 11:00AM the Funeral Service will be held at Windsor Chapel (704 Windsor Street). 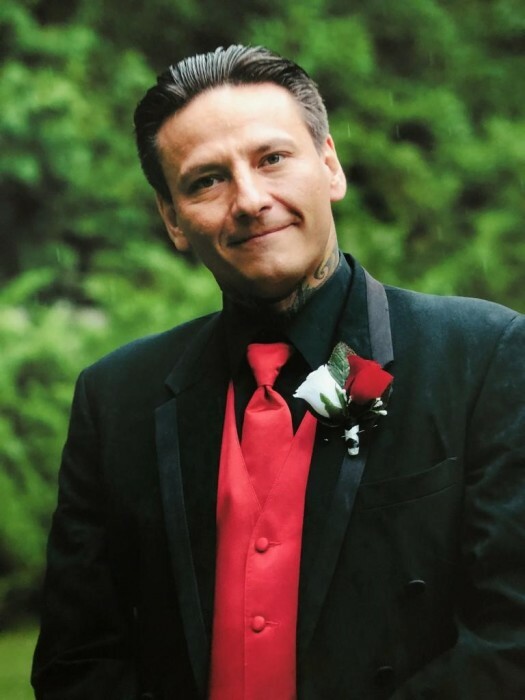 We will be taking Chris to rest at Woodlawn Cemetery located at (1502 2nd Ave N, Saskatoon). A meal with the family will follow at the Royal Canadian Air Force Association, 602 Lynx Wing (2407 Ave C North, Saskatoon). Arrangements in care of Mourning Glory Funeral Services (306)978-5200.